QPR’s proposed redevelopment of the Warren Farm Sports Ground in Southall has faced repeated legal challenges. The Supreme Court has rejected a final appeal by objectors to QPR’s building of a training ground at Warren Farm. West London Sport recently revealed that three of the 12 Supreme Court Justices would shortly consider the ‘permission to appeal’ application and decide whether the case would be heard by the Supreme Court. The application has been rejected, meaning there will not be a Supreme Court hearing which would probably have further delayed the long-running legal battle by at least another nine months. It paves the way for work to begin on the Southall site. It is approaching seven years since West London Sport first revealed QPR wanted to build a training ground at Warren Farm. And it is four years since West London Sport revealed Rangers had scaled down their plans, having considered scrapping the project altogether. West London Sport reveal that QPR want to build a new training ground on the site of the Warren Farm Sports Centre. Non-League Southall FC also express interest in building on the site, but it comes to nothing. QPR submit plans to Ealing Council to build a training ground on the site – the plans are subsequently revised in light of objections from local residents. 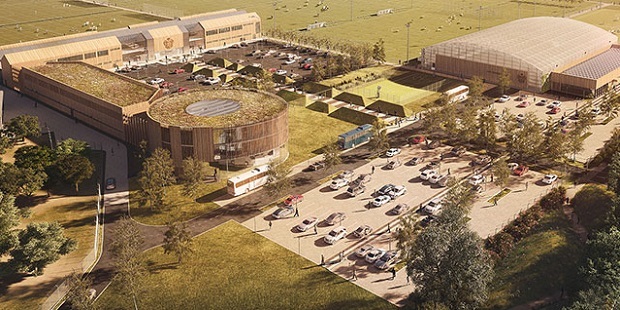 Planning permission is granted by Ealing Council – QPR’s intention is to begin work within months and for the new training ground to be open by late 2015. After plans are revised again following more objections, a development agreement is signed by Ealing Council and QPR, who at this stage believe the training ground will be ready in 2016. West London Sport reveal QPR are considering scrapping the Warren Farm project. Tony Fernandes confirms QPR are considering scrapping the project and tells West London Sport it is because of delays caused by a series of objections lodged by opponents. West London Sport reveal QPR are set to go ahead with Warren Farm project – but a cheaper, scaled-down version with significantly more modest plans than the original proposals. QPR submit a revised planning application. The revised plans are approved by Ealing Council – but local objections continue. An application for a footpath across the site of the proposed training ground, which would have scuppered QPR’s plans, is rejected by Ealing Council’s Regulatory Committee – but the Hanwell Community Forum seek a judicial review of the original decision to give planning permission for a training ground. The Save Warren Farm group launches a crowdfunding appeal to raise money for the legal challenge. High Court upholds Ealing Council’s decision to grant planning permission – but opponents take case to the Court of Appeal. Court of Appeal’s judicial review upholds Ealing Council’s decision. Objectors are given 28 days to appeal. West London Sport reveal appeal has been lodged. Confirming the news, QPR say they will not give up. West London Sport reveal a ‘permission to appeal’ application is expected be considered by Supreme Court Justices within weeks. They will either throw the latest appeal out, potentially paving the way for QPR to begin work, or grant a Supreme Court appeal, which would prolong the legal battle until at least late 2019. After the application for a Supreme Court appeal is rejected, QPR announce that all legal avenues have been exhausted and construction can begin. Warren Farm decision goes QPR's way - now what?